No matter how much love a Real Housewives couple might seem to have, sometimes things jut don't work out. More often than not, the relationships of these popular Bravo couples end, including the recent news that Real Housewives of Beverly Hills' Yolanda and David Foster are divorcing. Just when fans get invested in a couple and start shipping them so hard, they decide to part ways and it's devastating. That said, all of this saddening news surrounding Yolanda and David got me thinking: how many Real Housewives are divorced? Spoiler: A LOT. If you're a die-hard Housewives fan, then I'm sure you can do a quick scan of each season and come up with each star whose marriage hasn't lasted. There are 31 Housewives who have signed divorce papers. There are also quite a few, like Phaedra Parks and Apollo Nida, who will probably end up following in their footsteps. Not to mention, some of the Housewives have gotten divorced and then even remarried the spouse they split from. No, that doesn't just happen in the movies, it's actually occurred. Here's a list of all the Housewives who've split from their husbands. Just consider this your cheat sheet for parties whenever you need to prove someone wrong about which Real Housewife's marriage has ended in divorce. Kyle Richards: Before Mauricio Umanksy, Kyle was married to Guraish Aldjufrie when she was just 18 years old. They had daughter Farrah together and were married from 1988 to 1992. Kim Richards: Kim was married and divorced twice. Her first husband was Monty Brinson and her second was Gregg Davis. Brandi Glanville: As Housewives and Vanderpump Rules fans know, Brandi Glanville was married to Eddie Cibrian. He famously cheated on her, including with Pump Rules' Scheana Marie and with his current wife LeAnn Rimes. Adrienne Maloof: Fans watched Adrienne Maloof's divorce from Paul Nassif play out on RHOBH. Camille Grammer: Like Maloof, Camille Grammer's marriage to Kelsey Grammer went down the tubes during the first season of RHOBH and it was sad to watch. Eileen Davidson: Before marrying Vincent Van Patton, Davidson was married to soap star Jon Lindstrom and Dukes of Hazzard star Christopher Mayer. 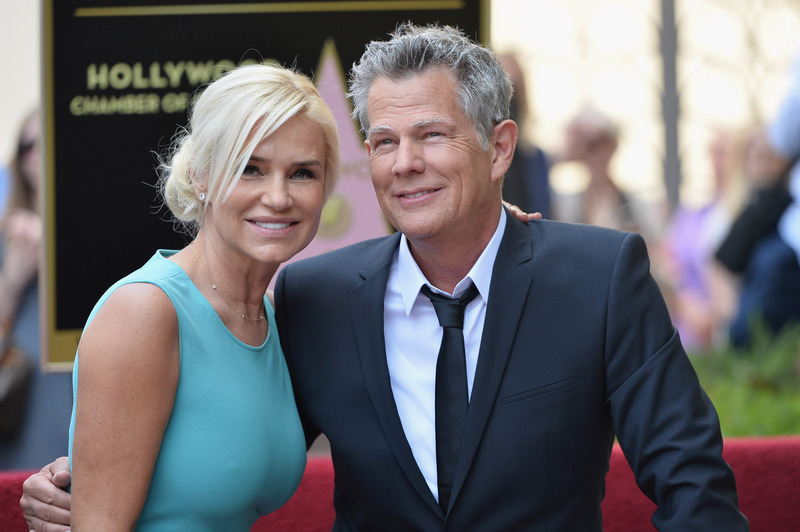 Yolanda Foster: Most recently, Yolanda and David Foster split after four years of marriage. Before David, Yolanda was married to Mohamid Hadid. NeNe Leakes: Leakes' divorce from Gregg Leakes didn't last long because the two soon enough remarried. Kim Zolciak: Before tying the knot with Kroy Biermann and having four kids of their own, Kim Zolciak was married to Daniel Dominic Toce. Sheree Whitfield: The RHOA star was previously married to Bob Whitfield, but they divorced after seven years of marriage. Porsha Williams: Like many other Housewives, Williams' former marriage to Kordell Stewart, an NFL player, became a big part of the show — and so did their divorce. Lisa Wu: If you didn't watch the earlier seasons of RHOA, then you probably don't recognize Lisa Wu. Anyways, she was formerly married to R&B singer Keith Sweat and NFL player Ed Hartwell. Claudia Jordan: Before coming onto RHOA, Claudia Jordan used to be married to reality TV and film producer Datari Turner. Vicki Gunvalson: As every true Housewife fan knows, Gunvalson was married to Donn Gunvalson and Briana and Michael's father Michael Wolfsmith. Tamra Judge: Before saying "I do" to Eddie Judge, Tamra was married to Simon Barney (who was also featured on RHOC) and her son Ryan's father Darren Vieth. Alexis Bellino: Jim Bellino wasn't Alexis' first husband. Actually, she was once married to Jeff Barry. Lynne Curtain: Lynne and Frank are no more. After the show and 22 years of marriage, Lynne and Frank parted ways. Jeana Keough: When Keough was on RHOC, there was not doubt she had an unhealthy marriage, which is probably why she got divorced from Matt Keough. Tammy Knickerbocker: If you've watched Housewives from the very beginning, then you recall Tammy Knickerbocker. Well, she was divorced from Lou Knickerbocker, who died in 2007 from a heart attack. Lauri Waring Peterson: Before tying the knot with George, Peterson was married two times before to Philip Waring and to another unnamed man. Bethenny Frankel: When will Frankel find love? She was briefly married to Peter Sussman. Of course, she was also married to Jason Hoppy, whose love and divorce story has been all over reality TV. Sonja Morgan: It's no secret that Sonja Morgan loves men. From 1998 to 2006, Morgan was married to John Adams Morgan. Ramona Singer: Fans watched it go down in the tabloids and on RHONY, but Ramona and Mario singer ended their 22-year marriage after he was caught cheating. LuAnn de Lesseps: After 16 years of marriage, Countess LuAnn and Count Alexandre de Lesseps went their separate ways. Kelly Bensimon: For 10 years, Kelly was married to Gilles Bensimon, the famous French photographer. Aviva Drescher: RHONY fans are no strangers to Drescher's ex-husband Harry Dubin, who is still close with his ex-wife and has had many flings with Sonja Morgan. Dorinda Medley: Before her late husband Richard Medley and now boyfriend John Mahdessian, Dorinda was married to a Scotsman for 10 years, who is reportedly named Ralph Lynch. They had one daughter, RHONY star Hannah, together. Jacqueline Laurita: Her ex-husband Matt Holmes, Ashlee's father, appeared on RHONJ multiple times. Dina Manzo: As showcased on RHONJ, Dina was once married to Tommy Manzo, but they divorced after seven years together. Teresa Aprea: Like NeNe Leakes, Teresa Aprea was married to Rino Aprea, they divorced, and then they remarried. Danielle Staub: Finally, the notorious Danielle Staub, who was previously married twice: once to Kevin Maher and once to Thomas Staub. Whew!. That's a lot of divorces!